If, like me, you don’t read books much and get bogged down with Christian service, this book will help you smile. 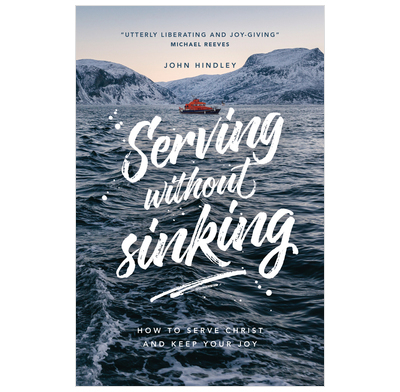 Not just because it is enjoyable, contemporary and biblical, but because it reminds us that we are served by Jesus, who—as our Master, Friend, Husband and Brother—gives us every reason not to sink, but to smile. This fresh, warm, honest, book did me good. It is richly filled with grace, informed by a gritty realism, and shot through with pastoral perceptiveness. There is something in it for every Christian man and woman at every stage of life.